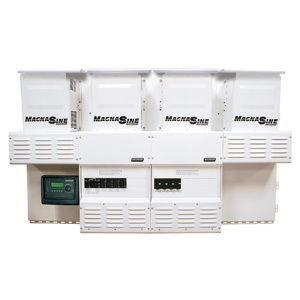 The MP Magnum Panel is available in three sizes and each size is available with either a 30-amp two-pole 120/240 VAC output breaker or a 60-amp 120 VAC output breaker. The MPX - Magnum Panel Extension allows additional inverters to be installed on Magnum MP panels. Each MPX includes AC/DC circuit protection and wiring. 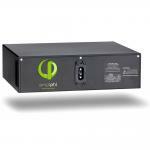 The MPSL – Magnum Panel, Single Enclosure, Low Capacity – is designed to accommodate a maximum of 2 inverters. If used with two inverters, an MPX Extension Box is required. The MPSL includes one 2850A DC breaker, one 125A AC bypass breaker, a 500A/50mv DC shunt and inverter AC input protection and all AC/DC wiring for dual inverters (source/load wiring not included). 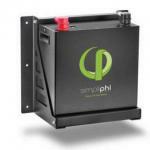 The MPSH – Magnum Panel, Single Enclosure, High Capacity – is designed to accommodate a maximum of three inverters. One inverter can be connected directly to the MPSH. Each additional inverter requires an MPX. The MPSH includes one 250A DC breakers one 125A AC bypass breaker, a 1000A/100mv DC shunt and inverter AC input protection and all AC/DC wiring for dual inverters (source/load wiring not included). The MPDH – Magnum Panel, Double Enclosure, High Capacity – is designed to accommodate as many as four inverters with two enclosures- one for AC connections and one for DC connections. Two inverters can be connected to the MPDH. The third and fourth require one MPX for each additional inverter. The MPDH includes two 250 A DC breakers one 125A AC bypass breaker, a 1000A/100mV DC shunt and inverter AC input protection and all AC/DC wiring for dual inverters ( source/load wiring not included).